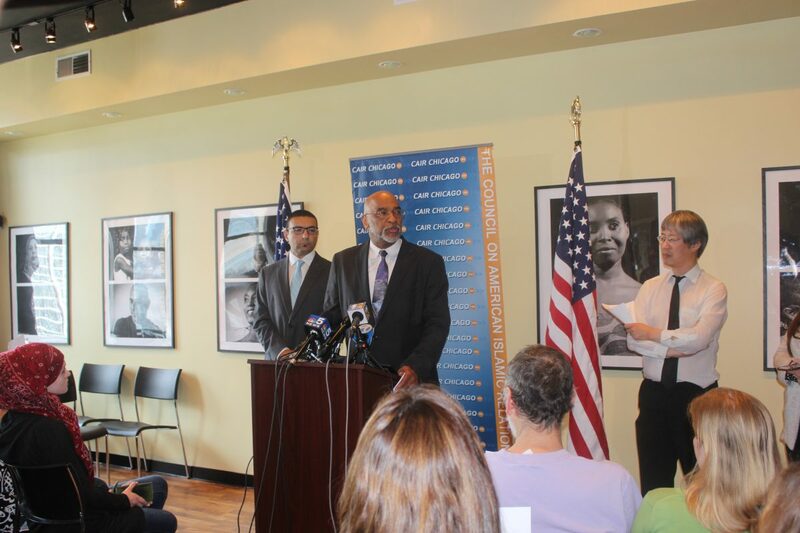 (CHICAGO, IL)--On Monday, June 26, CIOGC participated in a press conference held by CAIR-Chicago in response to the U.S Supreme Court’s decision to uphold the Trump’s travel ban. 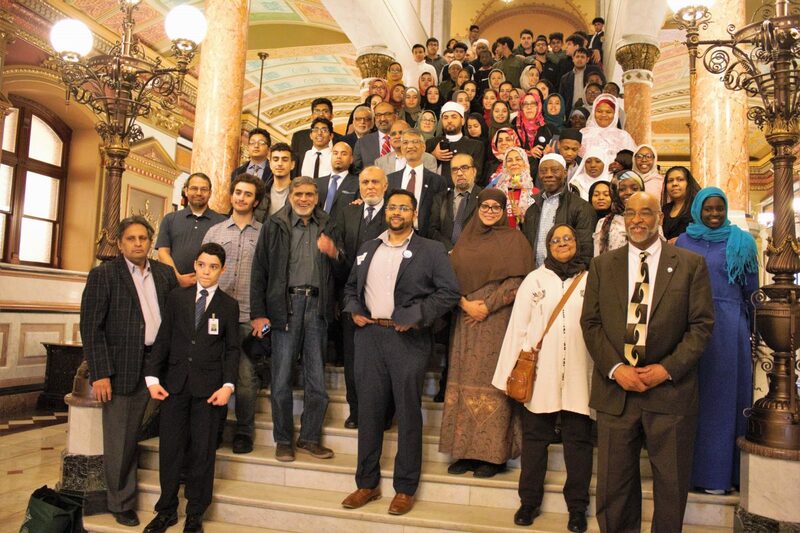 The conference was attended by a diverse group of Chicagoland activists and representatives, including CIOGC, American Civil Liberties Union (ACLU), Arab American Family Services, Illinois Coalition for Immigrants and Refugee Rights (ICCIR), Muslim Bar Association and others. The Supreme Court’s ruling sparked a wave of anxiety among Muslim Americans as well as the broader American society. “[It is] a particularly difficult day for the Muslim American community and the United States of America because this decision to uphold what is, in our estimation, un-American policy of ripping away families and discriminating- based on nation of origin and religion-is the side of [it being] un-American. 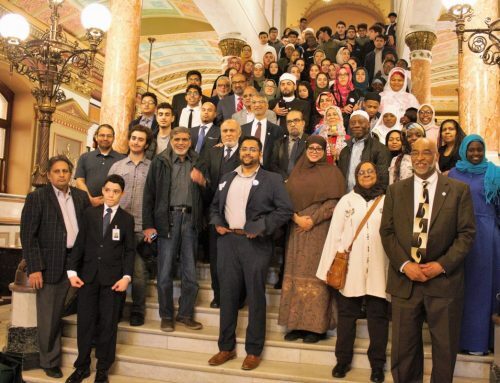 And it doesn’t make us any safer,” indicated Ahmad Rehab, CAIR-Chicago’s Executive Director. ACLU’s Executive Director Colleen Connell deemed the ruling as “one of the Supreme Court’s great failures” to protect the principles of religious liberty and fairness. “It is a sad day in our country’s history when the majority of the Supreme Court upholds a discriminatory travel ban propagated by a president who revels in bigotry and division,” she explained. The Muslim ban challenge is not divorced apart from other challenges faced in this country, according to Rehab. The policy has nothing to do with national security, emphasized Azam Nizammuddin, the President of Muslim Bar Association, but is rather driven by sheer religion discrimination. “Make no mistake, ladies and gentlemen, you have to be living in a cave or be an alien from Mars if you ignore the fact that this case is not about national security. It never was about national security. It was about religious discrimination made during a campaign slogan,” Nizammuddin explained. 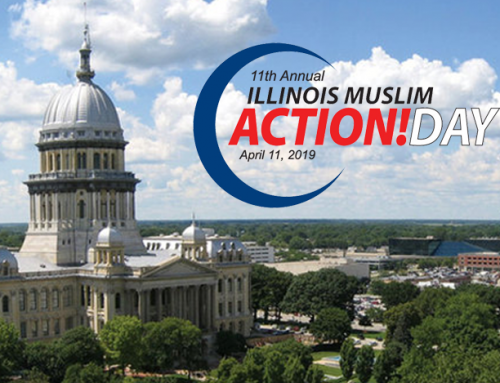 According to Fred Tsao, Senior Policy Council of ICCIR, the general assembly in Illinois has taken a strong stand against the attempts to single people out based on their religion and nation of origin. Senate Bill 3488, the Anti-Registry Act received overwhelming bipartisan support in both chambers and is now awaiting Governor Rouner’s signature. There is a hope, and the fight is not over. “We, as an organization, will continue to oppose all iterations of the travel ban, and we would ask all Americans who believe in the principles of this country join with us in fighting and opposing the travel ban” stated CIOGC Executive Director Abdullah Mitchell.